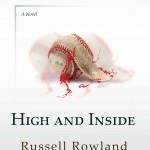 Baseball America has just given Russell Rowland’s novel, High and Inside, a glowing, perceptive review, calling it “a lush picture of modern sports and Montana. We couldn’t agree more. 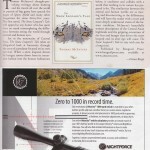 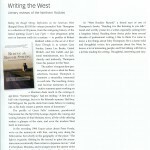 Thomas McIntyre’s The Snow Leopard’s Tale, a work for which we ran out of adjectives a long time ago (exceptional doesn’t do it justice, extraordinary falls short, mind-blowing is closer to the thing…we could go on), has received some well-deserved review attention in the Billings Gazette.